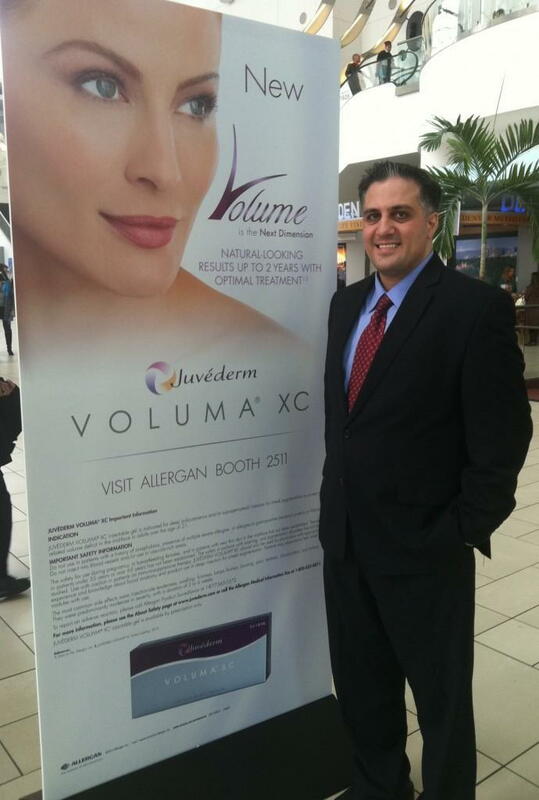 Dr. Alex attended the 72nd annual American Academy of Dermatology (AAD) conference from March 20, 2014 through March 25, 2014 in Denver, CO. The AAD conference is a large convention attracting doctors, nurses, and staff from around the world. Dr. Alex took courses given by international experts on various topics such as lasers, skin care, and injectables. There were hundreds of technical exhibits by laser companies, skin care lines, pharmaceutical companies, marketing experts, and more. A new skin care product added at A E Skin is the Elta MD UV Daily Tinted sunscreen. This is a moisturizing sunscreen with tint, so it works as foundation as well. Dr. Alex attended talks and events sponsored by Everidge, Sciton lasers, Allergan (makers of Botox, Juvederm, Voluma, and Latisse), Neocutis (makers of the Biocream), Modernizing Medicine, and Freeze the Fat (Coolsculpting by Zeltiq). Dr. Alex learned a lot of new and valuable information that he is dedicated to using to provide the best treatments and outcomes for our patients. Dr. Alex looks forward to the 73rd annual AAD conference in San Francisco, CA.